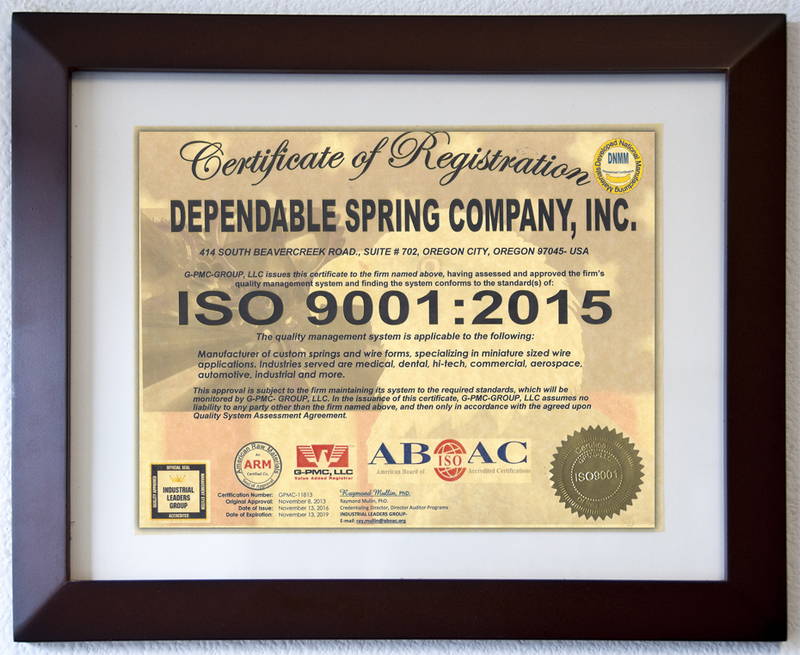 PRODUCTS | Dependable Spring Co. 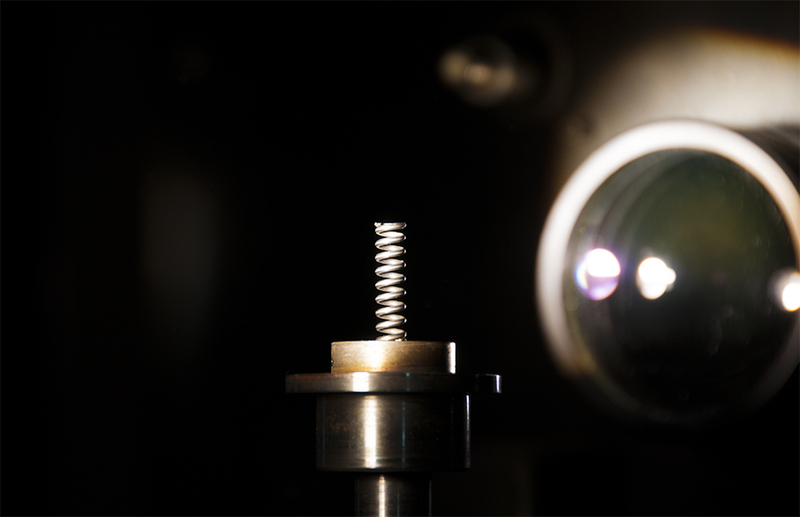 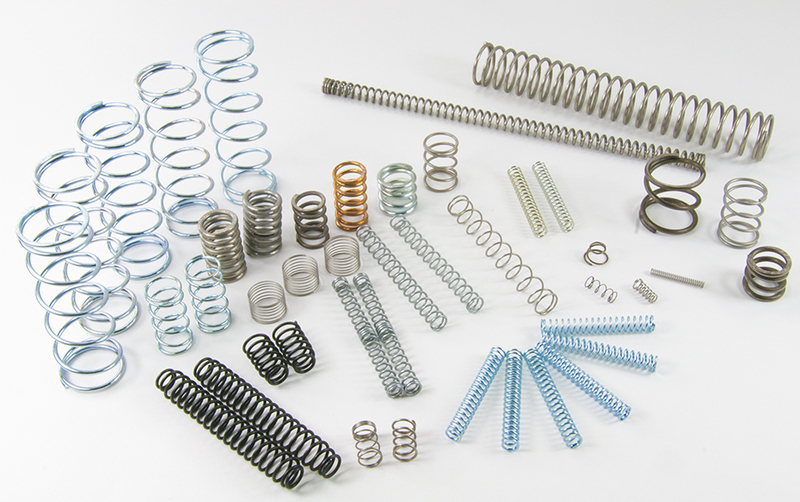 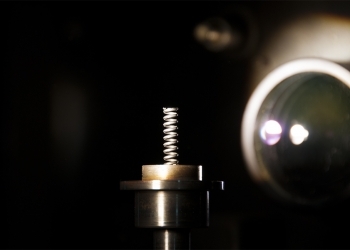 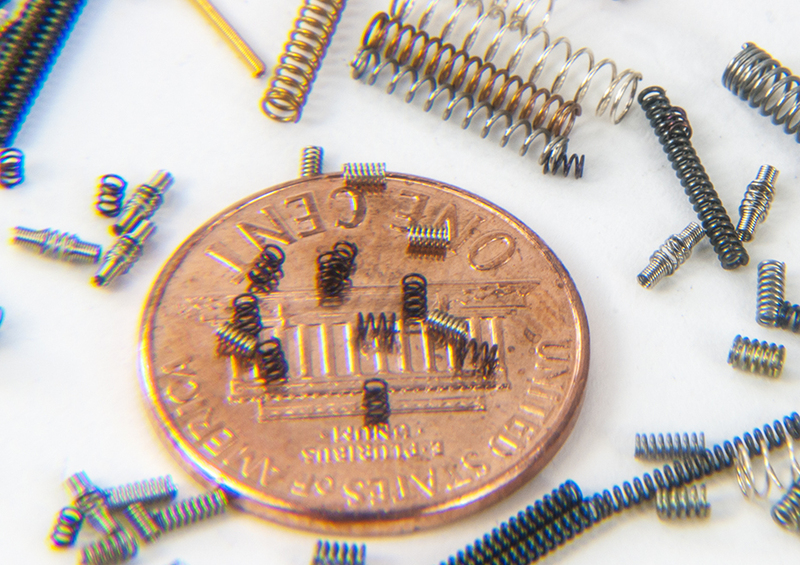 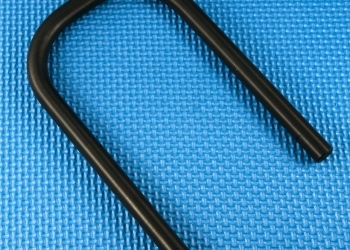 Compression springs, the most common spring utilized in the industry. They are applied when a pushing force is involved in the operation. 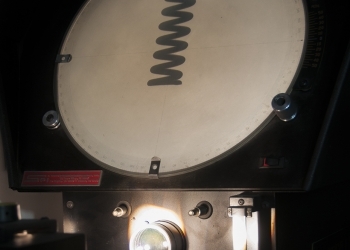 The body is commonly constant in diameter, however different shapes such as an hourglass, barrel, conical and others are also used. 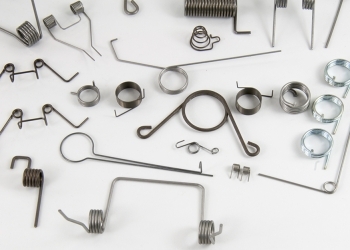 Round wire is predominantly used in compression spring applications because of availability and adaptability to most machines, however square, rectangular and special section wire can make up a compression spring. 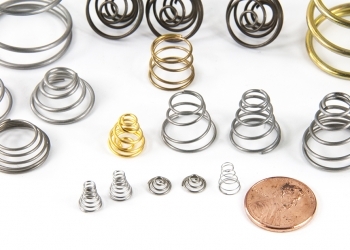 Our company excels at the production of compression springs with small wire sizes (as low as .00275”) and small body diameters. 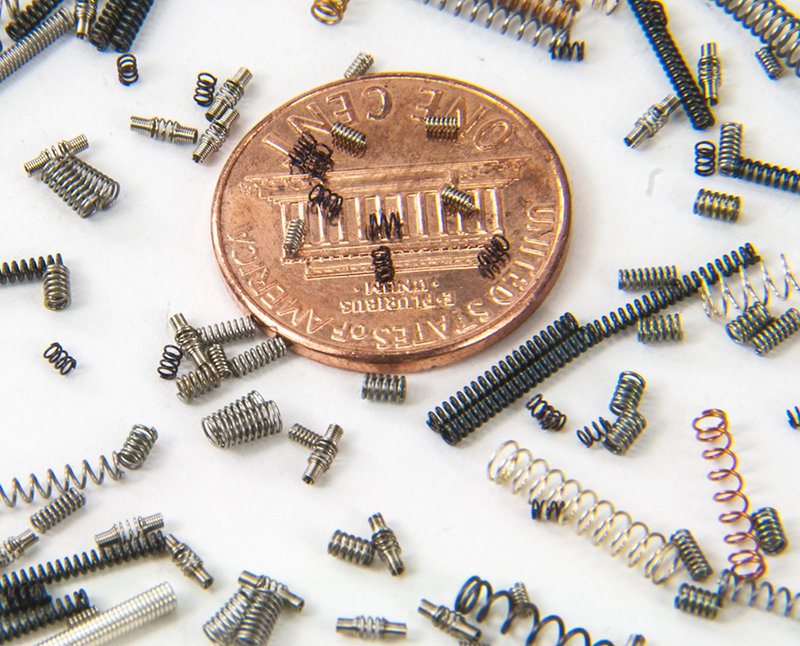 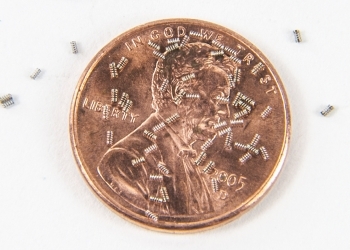 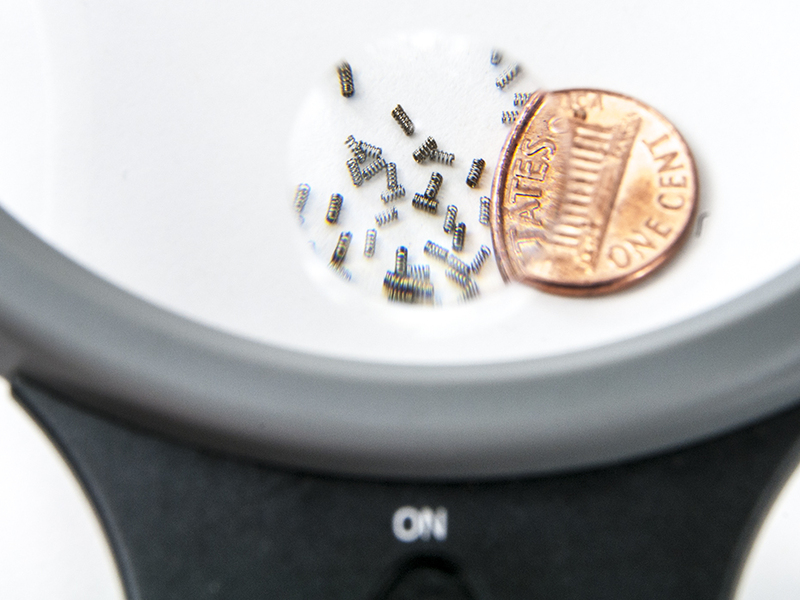 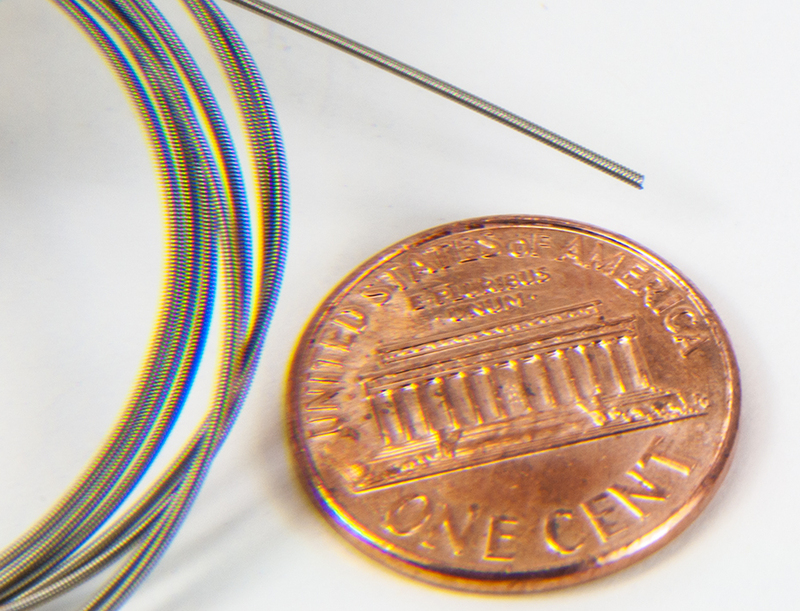 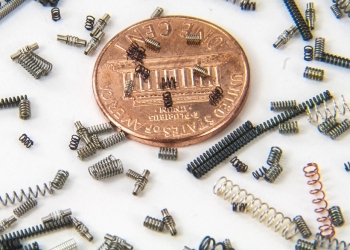 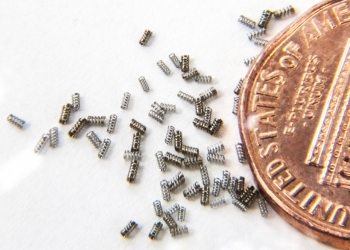 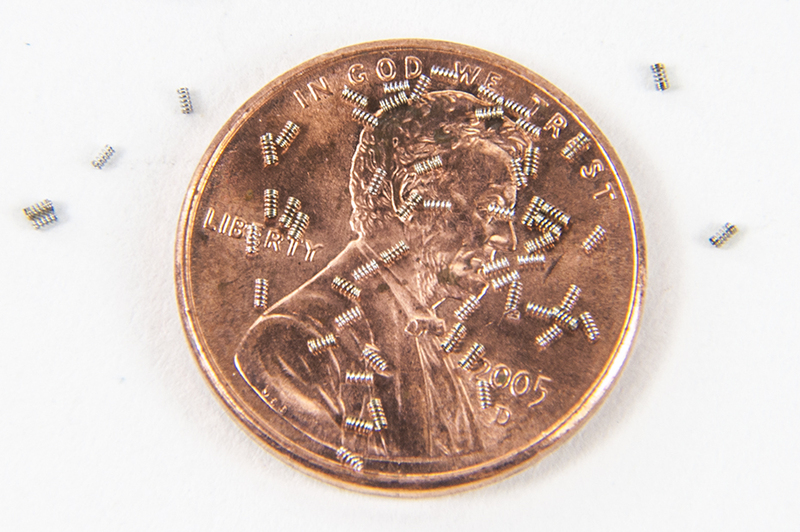 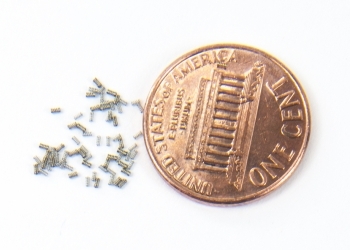 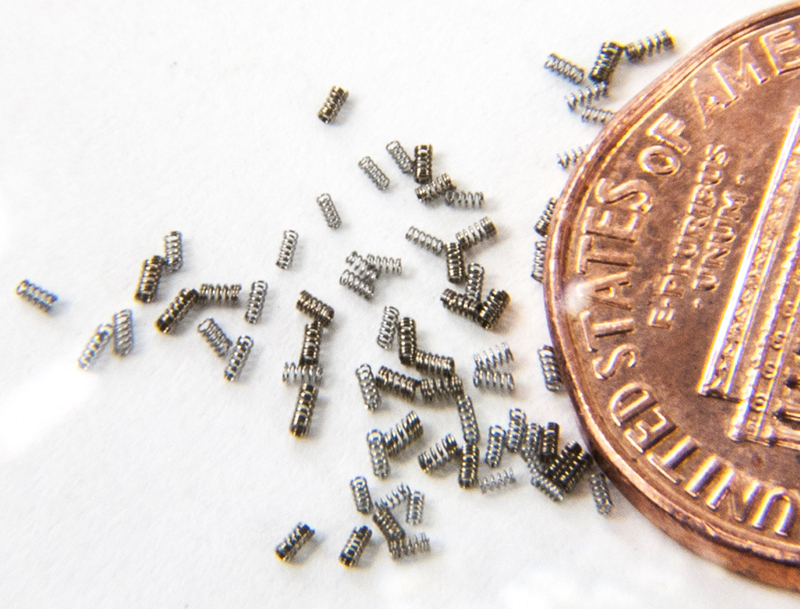 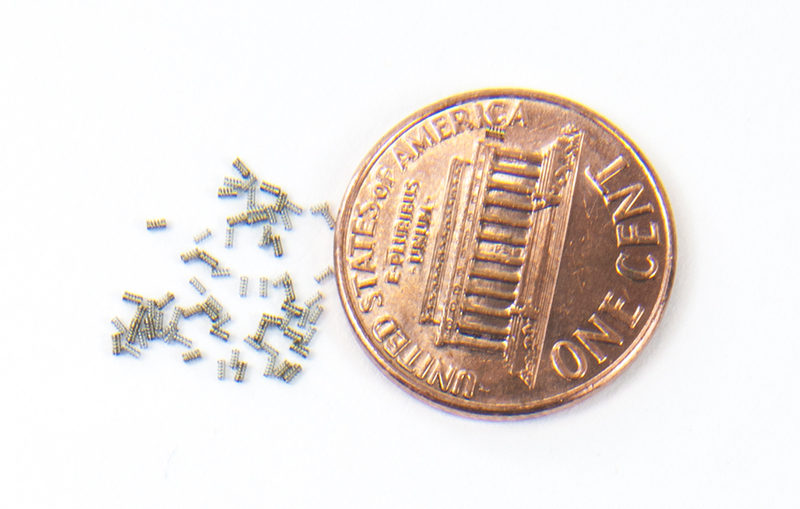 Many companies tend to turn down projects with wire sizes so small. 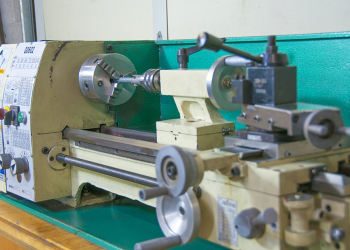 Our talented staff and advanced machinery, with built in measuring devices allow us to hold the closest tolerances needed by our customers. 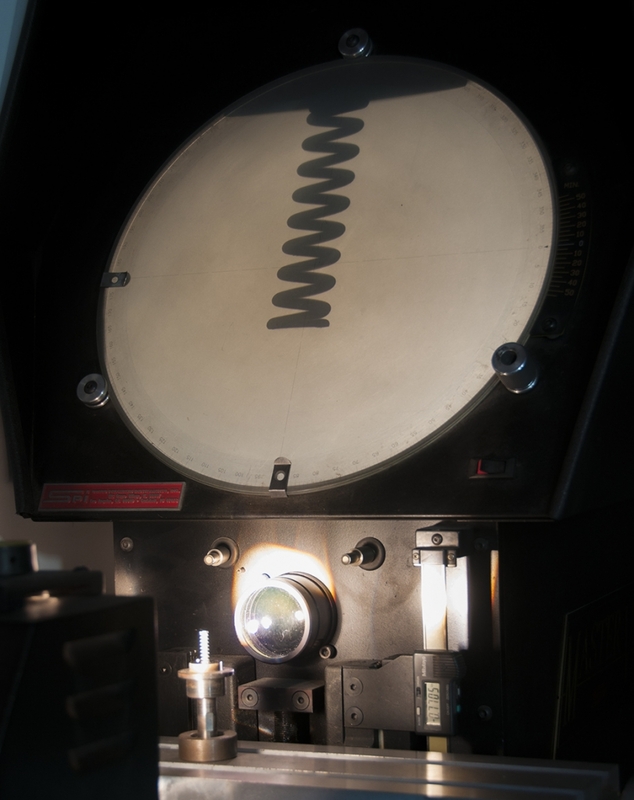 SPC data on production runs. 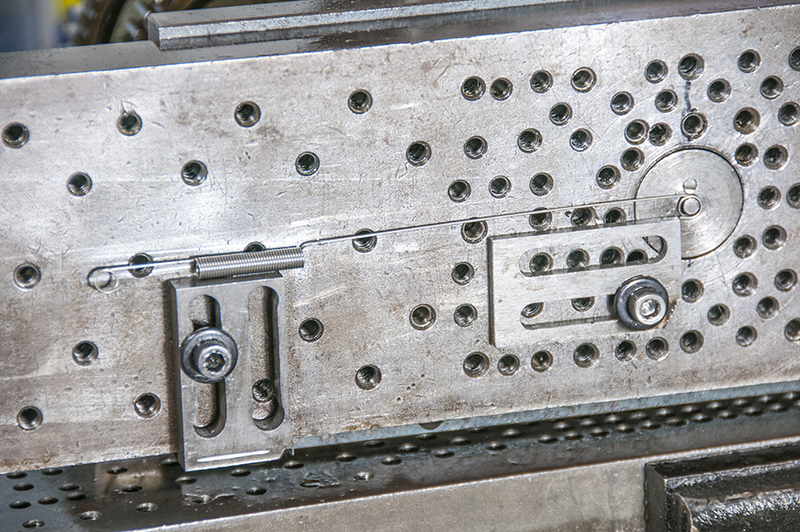 Design support and problem solving to ensure functionality of product at the most effective cost. Our specialty is small wire sizes as small as .00275”. 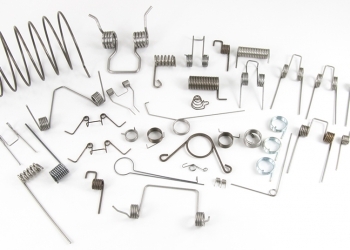 Our deep talent in this field, providing top quality products at a fast turnaround, from the time the order is placed to delivery has provided for us orders that many other companies tend to either reject due to the miniature sizes, diameters and close tolerances or just are not able to fill. 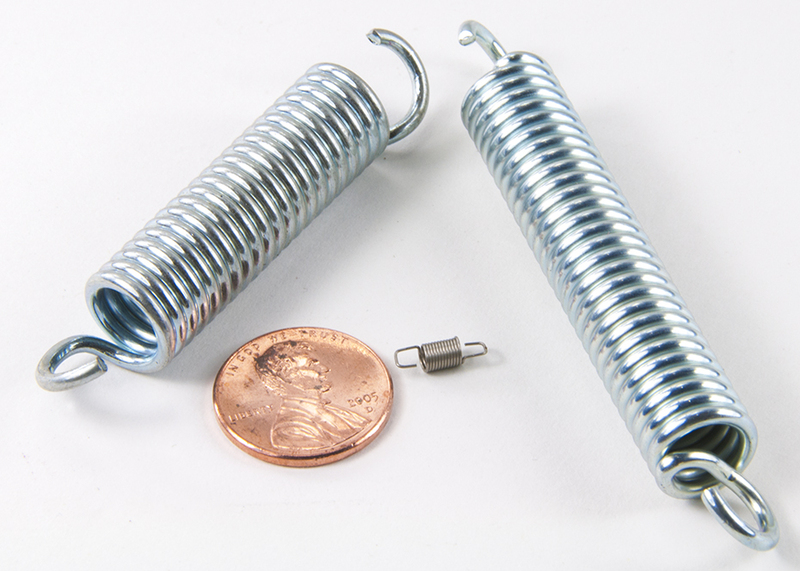 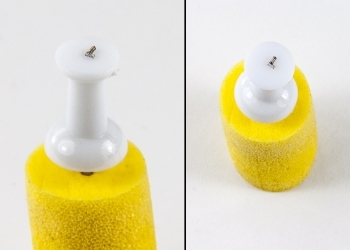 Extension springs are used when there is a pulling force involved. 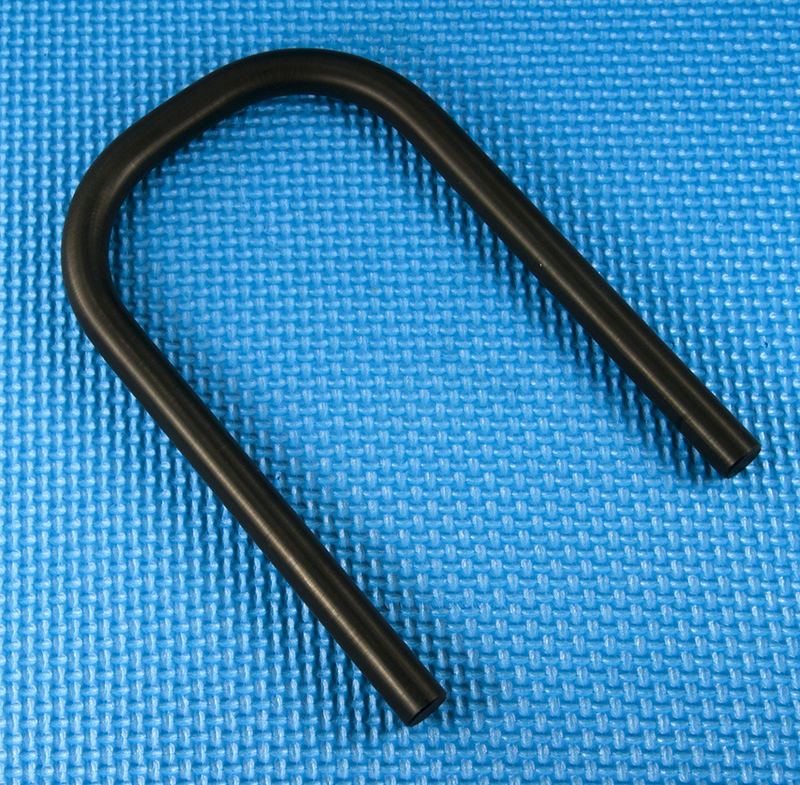 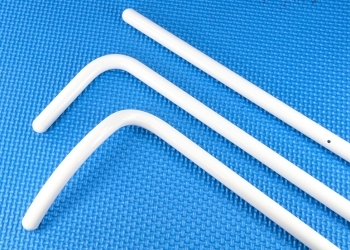 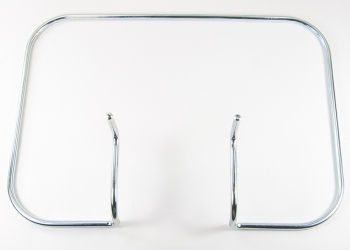 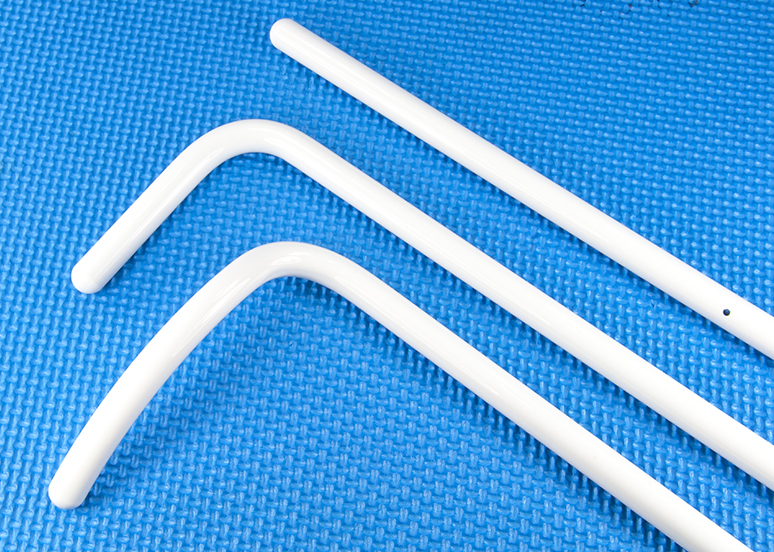 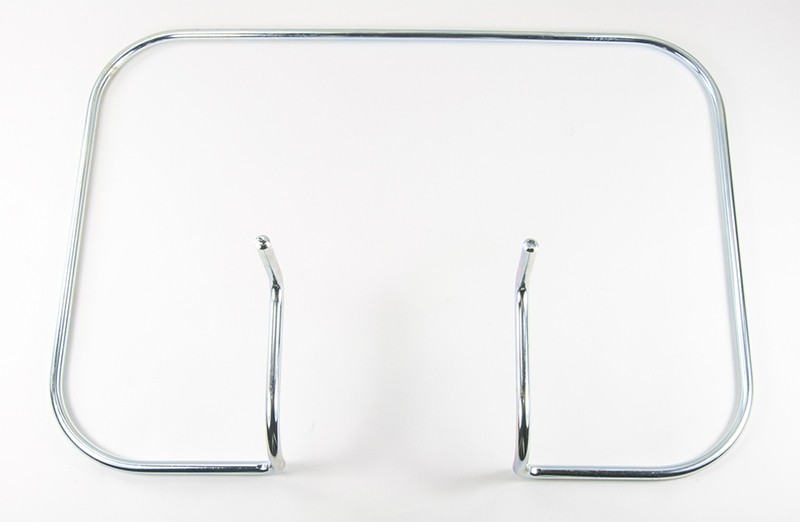 Loops or hooks are used on the ends to ensure a secure hold. 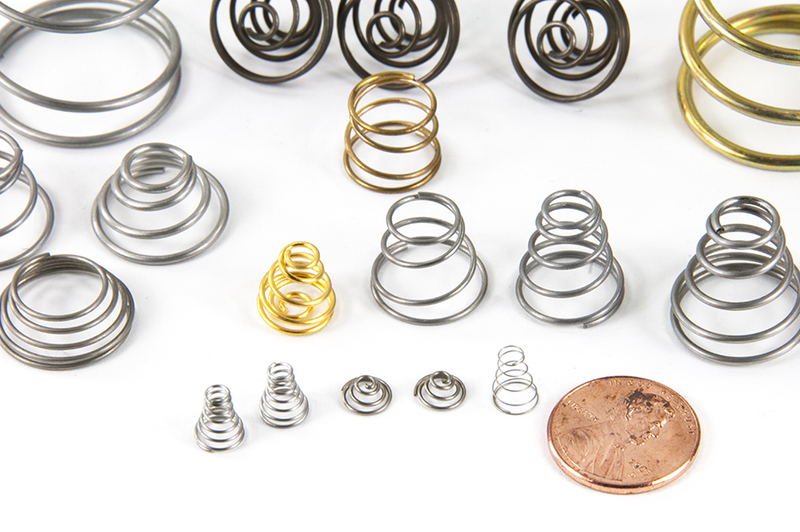 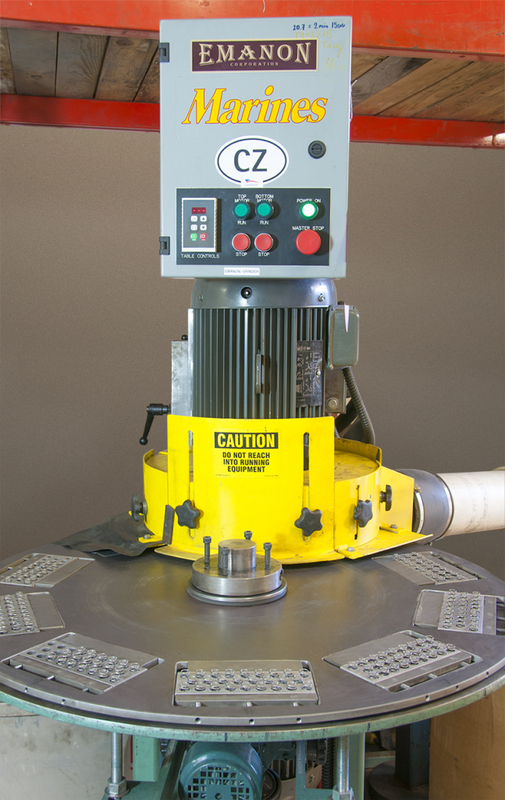 With our full looping capabilities cost and lead time is reduced without the need of secondary operations. 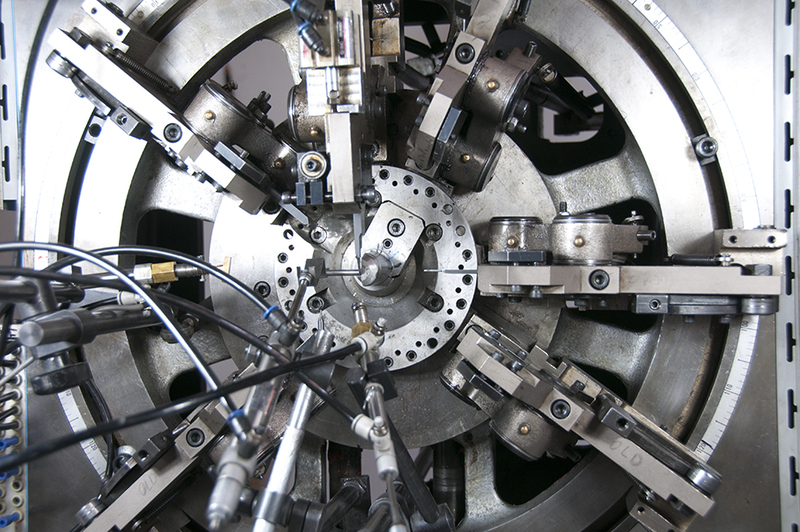 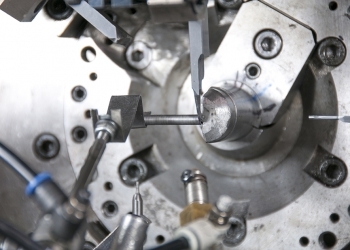 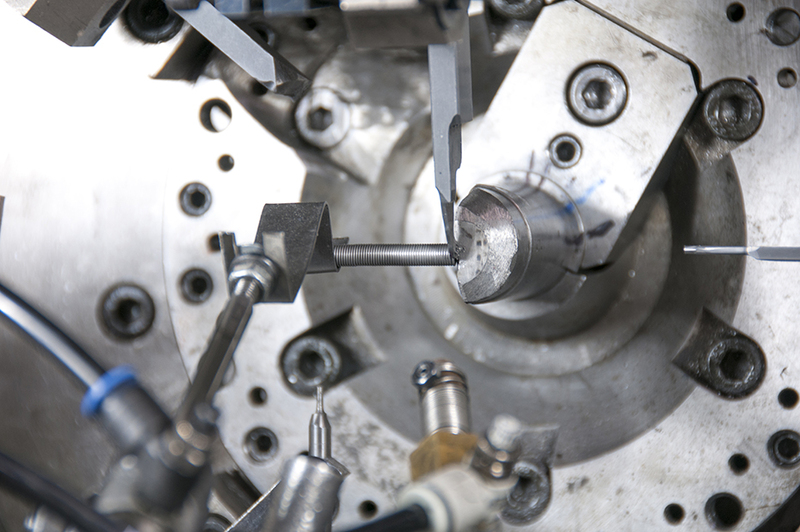 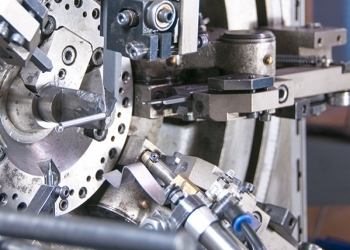 Electronic probes and sensors on machines ensure tolerances and loop positions are to print specification. 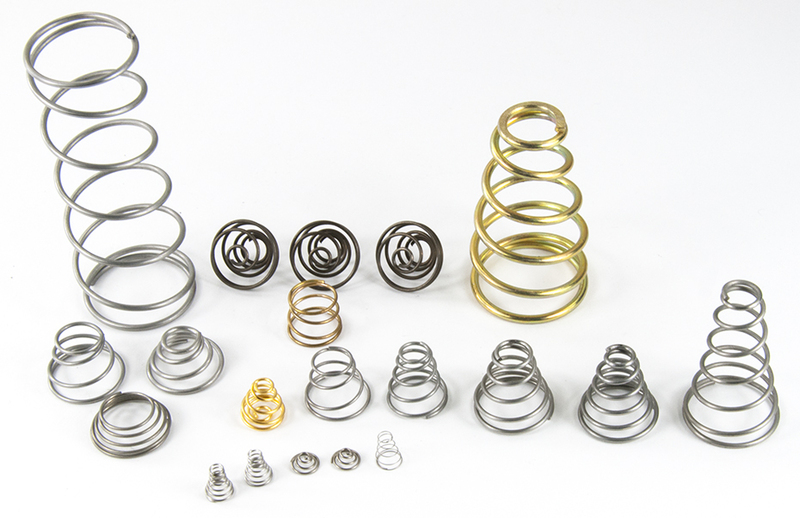 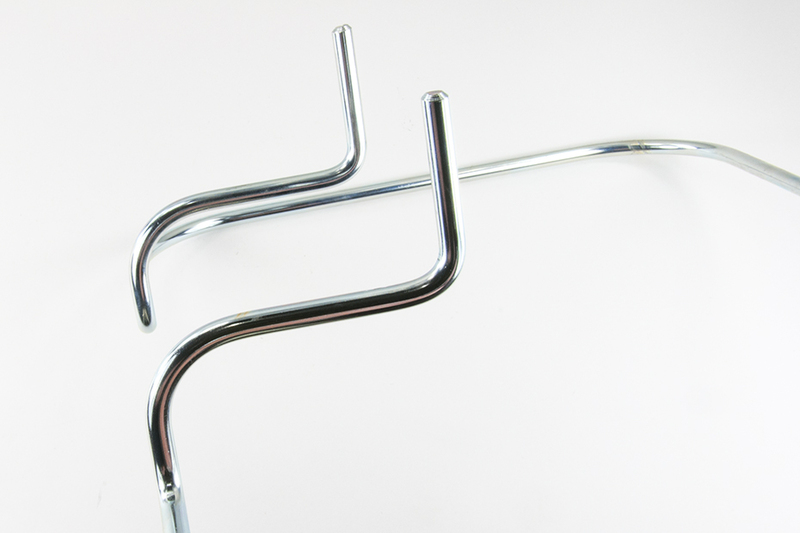 Torsion springs (single or double) are another one of our CNC capabilities. 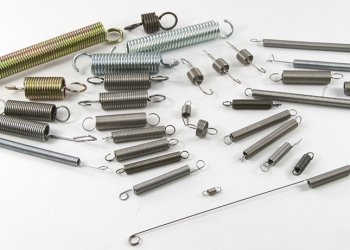 Torsion springs are found where ever there is torque involved in an operation. 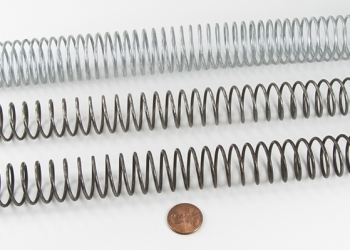 It works when force is applied to the arm of the spring which in turn shrinks the body diameter, allowing residence to occur. 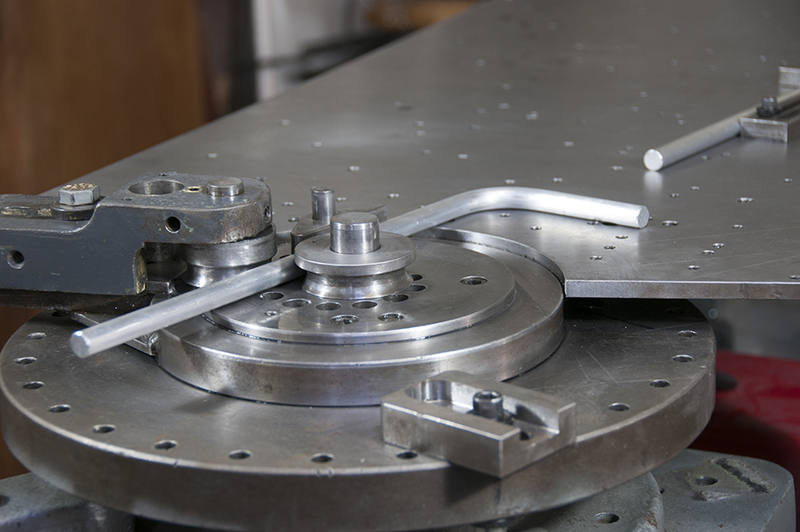 With an infinitive amount of configurations our CNC machines can produce most torsion operations needed in any applicable business. 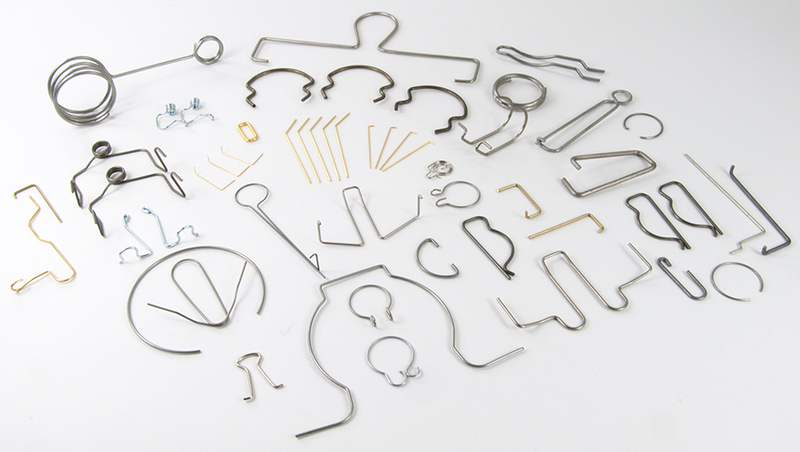 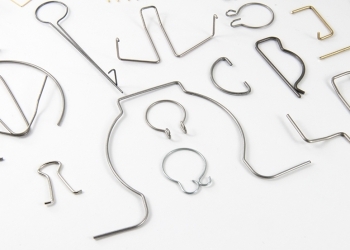 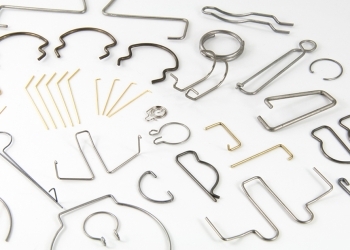 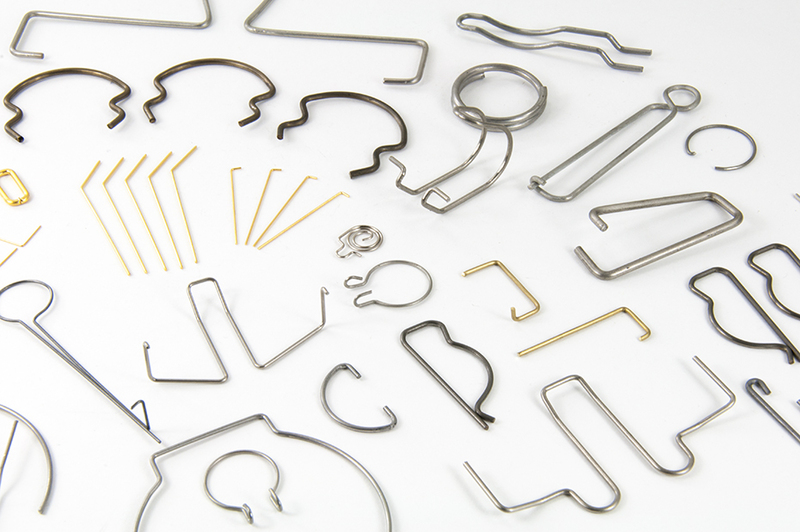 Wire forms come in an extensive array of shapes and configurations. 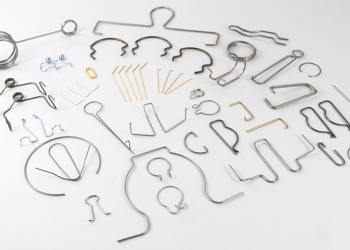 Applications for their use include rings, pins, clips, clamps, battery contacts, hooks and many many more. 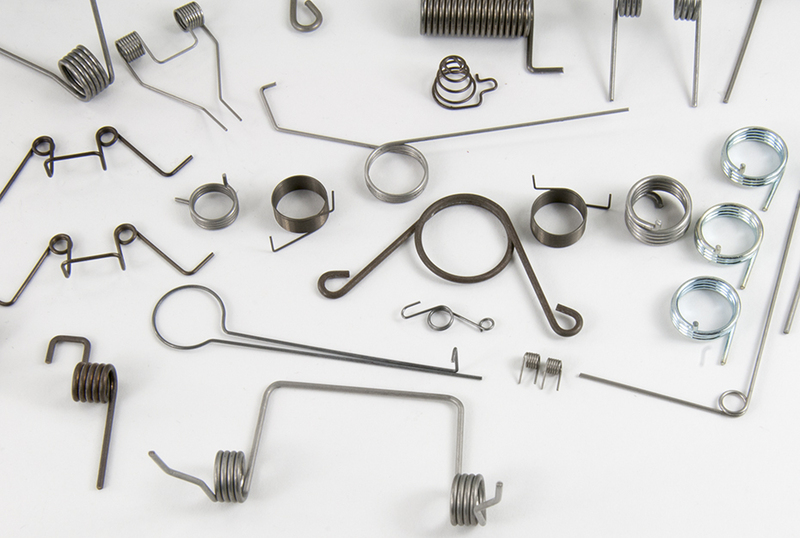 Our wire size capabilities with wire forms are from .012” to .125” wire diameter. 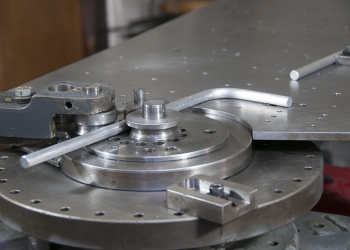 Our line of CNC machines from Mec Machinery give us ability to produce parts with the utmost of quality from virtually any material, at a fast, effective method. 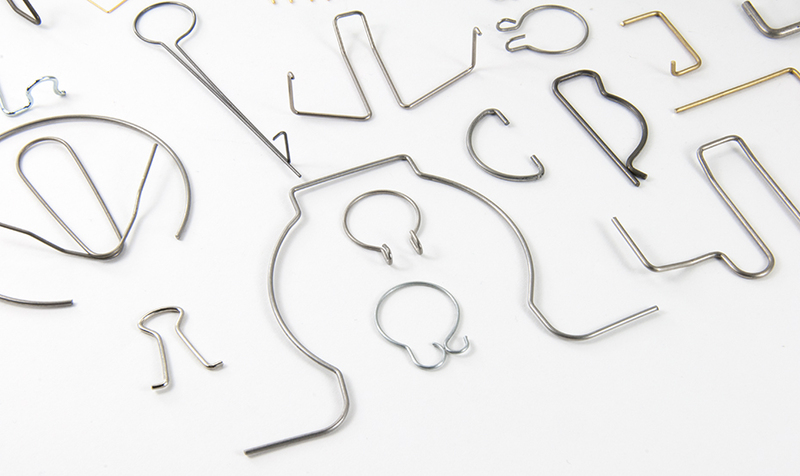 Our prototype department handles small quantities and rush orders very efficiently depending on customer needs and requirements. 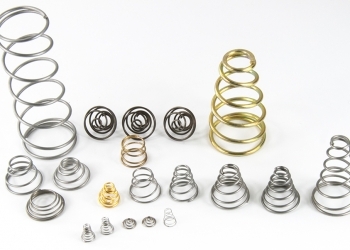 This consists of producing compression, extension, torsion springs and wire forms. 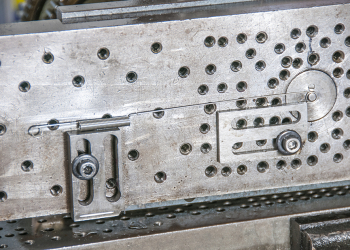 Working in conjunction with our secondary department we are capable of producing various metal forming operations for short order runs at a reasonable cost, with a fast turnaround. 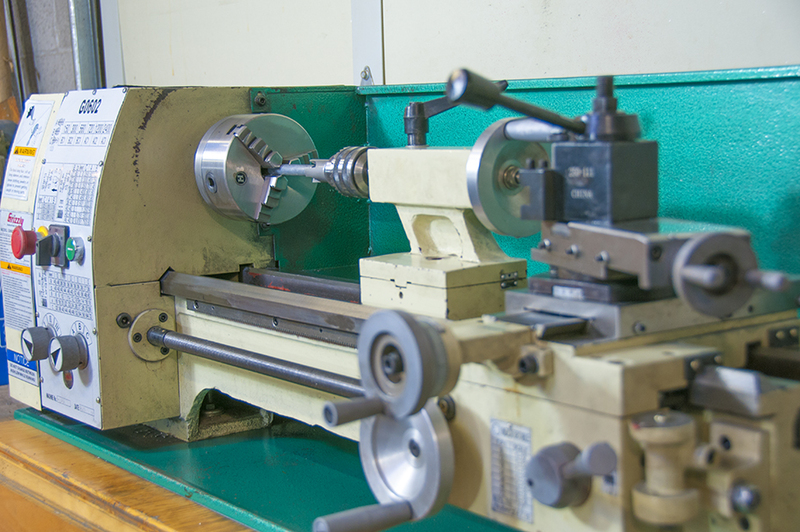 Our prototype/secondary department is very experienced to design, engineering and accurate production of prototypes or short order runs. 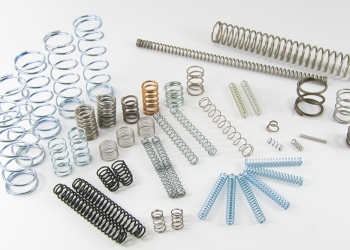 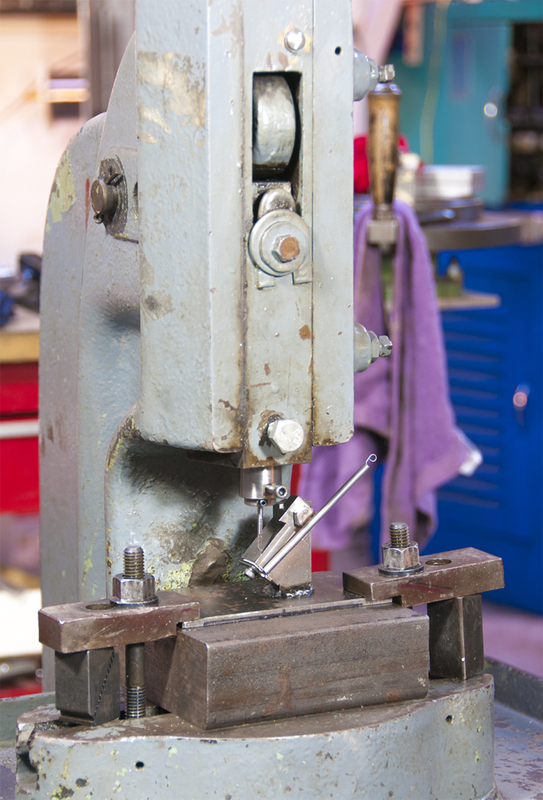 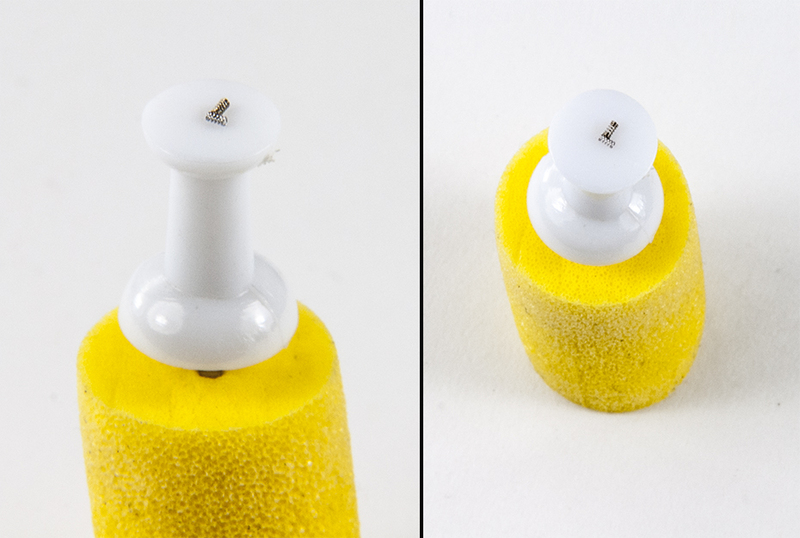 In many instances a spring or wire form requires a secondary operation. 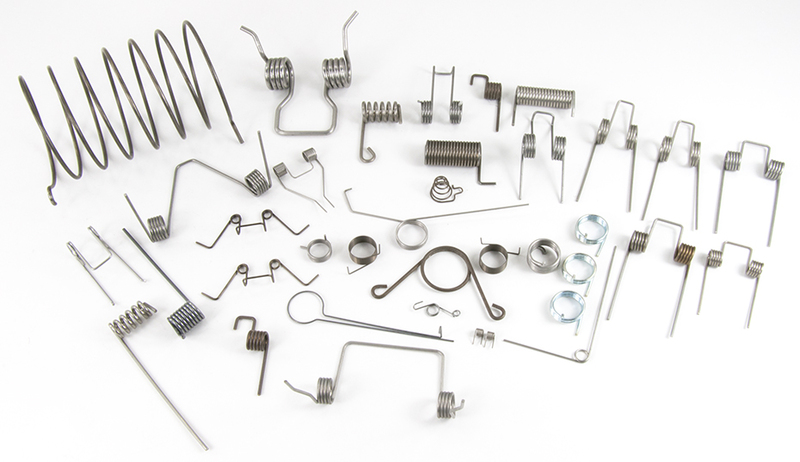 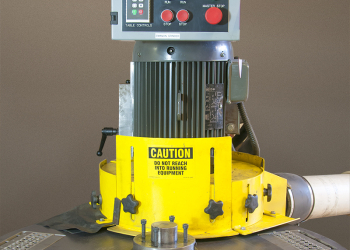 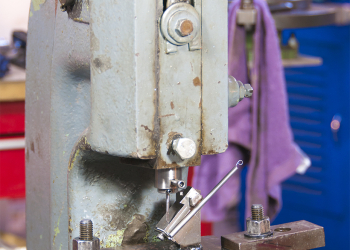 This may include looping, trimming, sizing, bending, grinding, de-burring, drilling, tapping, machining, heat treating, plating, special shipping requirements and more. 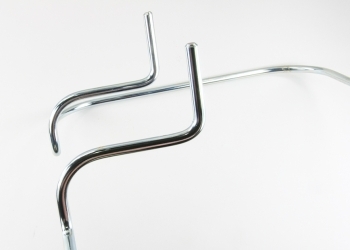 We can provide light assembly for our customers to reduce manufacturing costs. 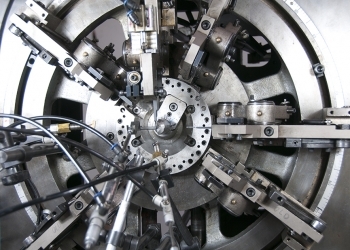 Almost all secondary operations are performed in-house hence reducing lead-time and cost.